The following page is in English as is the language of the introduced course down below. 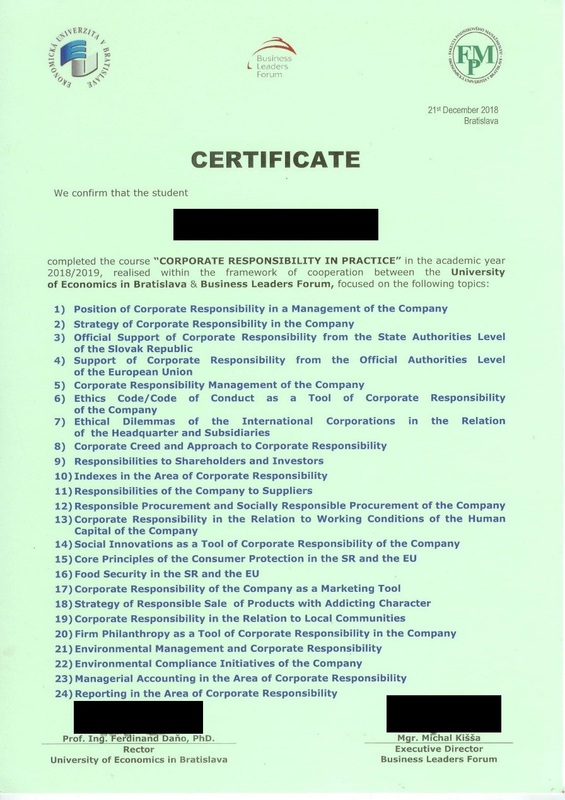 In 2016 Business Leaders Forum, association of companies that pledged to become leaders in asserting the principles of corporate responsibility in Slovakia, started to cooperate with the University of Economics in Bratislava and as a result the course Corporate Responsibility in Practice was introduced. Students have the opportunity to meet with the experts on CSR from private sector and discuss CSR topics which resonate in society. BLF has been trying for several years to promote the principles of responsible business in the academic field. BLF emphasizes the potential in students and claims that if students learn about the benefits of corporate social responsibility at their young age, they will most probably pursue the acquired principles in their professional life and set up new responsible companies. 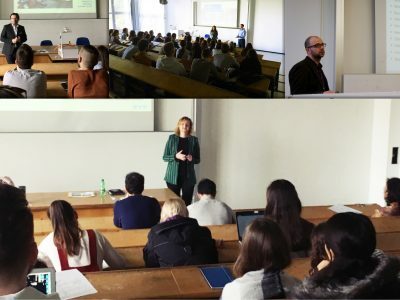 This is why the representatives of the BLF member companies were invited to join the lectures and share their practical experience. Responsible Teacher (Course gestor): Assoc. Prof. Ing. Mgr. 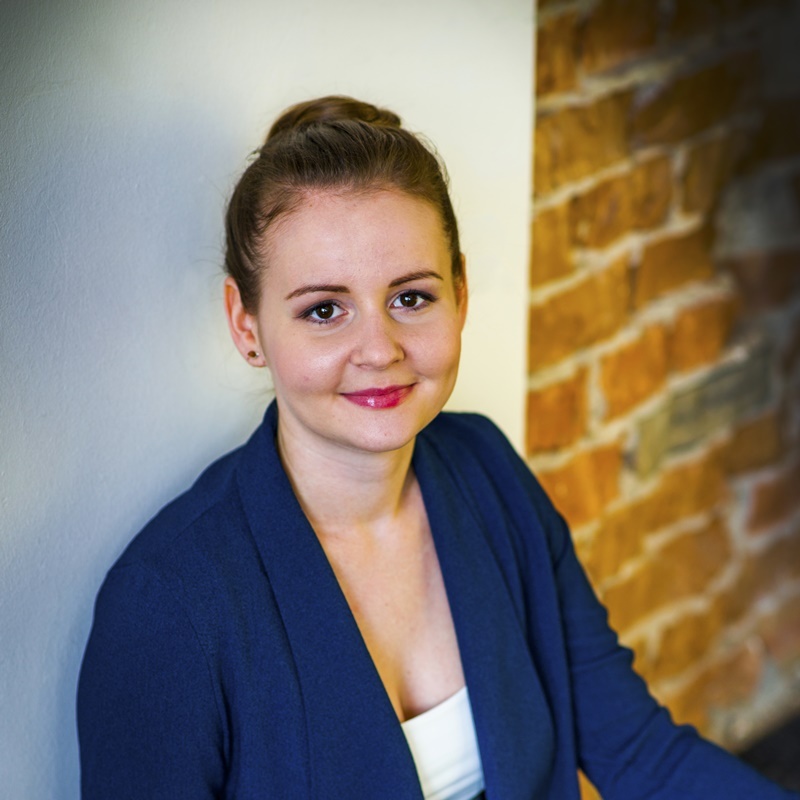 Gabriela Dubcová, PhD. All conditions are available here. TNT Express Worlwide spol. s.r.o. Mirka je členkou tímu zodpovedného podnikania. 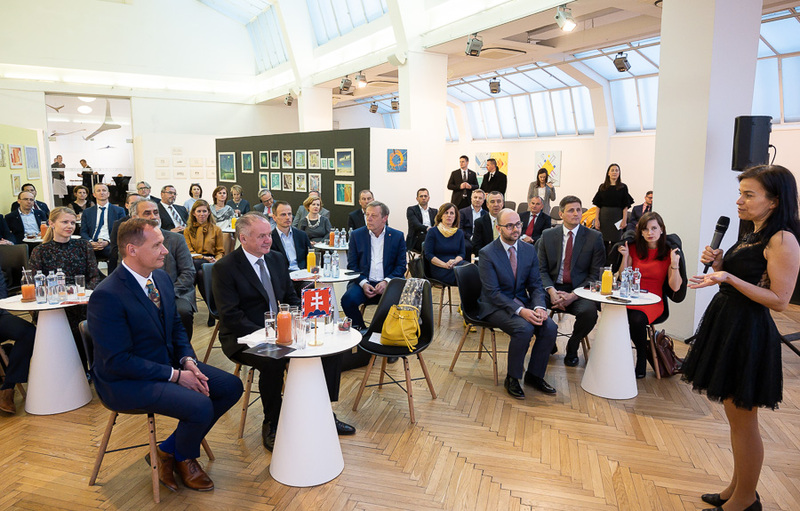 Administruje združenie Business Leaders Forum, organizuje CEE CSR Summit a podieľa sa na organizácii podujatia Naše Mesto.